Prince’s Barn was formerly the heavy horse stable for the working horses of the farm. They were stabled on the ground floor and the feed stored in the loft above, hay cut from the nearby marshes and chaff from the thrashed wheat grown on the farm. 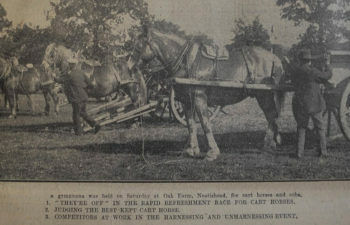 The horses were watered in the purpose made clay lined pond outside the barn. As Prince was one of the last horses to work on the farm the barn was named after him. The breeds of heavy horse used on the farm were Shires and Suffolk Punch’s, Prince was a Shire. To mark the change from horses to tractors a series of paintings were commissioned of the last horses at work by the noted East Anglian artist Stephen Walker. Stephen lived in south Norfolk near Diss and was a member of the Royal Society of Miniature Artists, he specialised in painting horses and farm scenes. He died in 2004 at the age 103. The painting above shows Prince walking in the furrow as he ploughs with his companion Smiler. 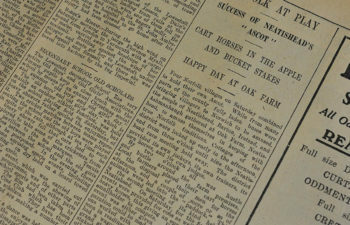 The press clippings above show Prince and his companion Boxer, with their respective horsemen Messrs A Platford and P Sandle, shown in the bottom photograph, left and centre. 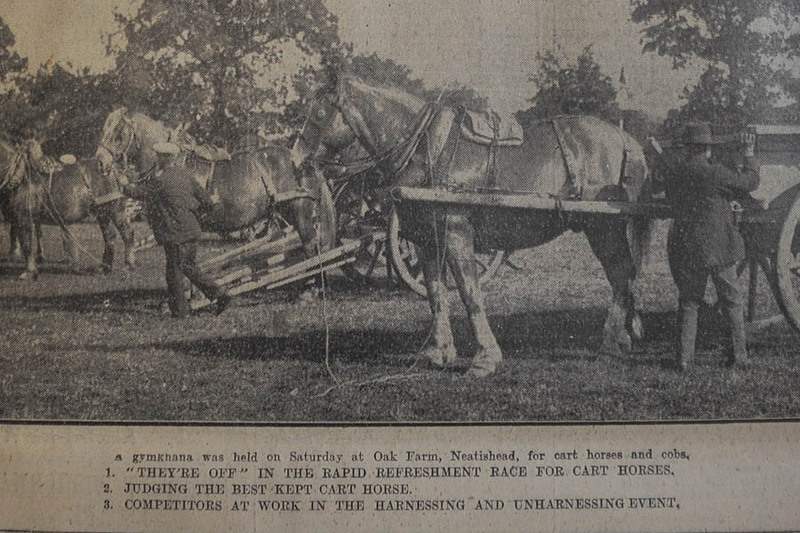 They are competing in the harnessing event. 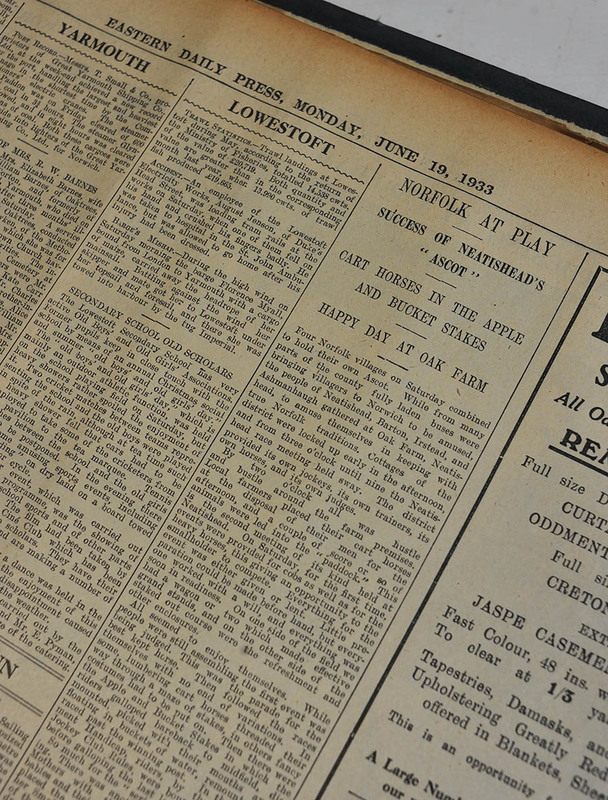 The second clipping shows the report of the event.